Fieldey is a professional artist with over 16 years experience in art and design. 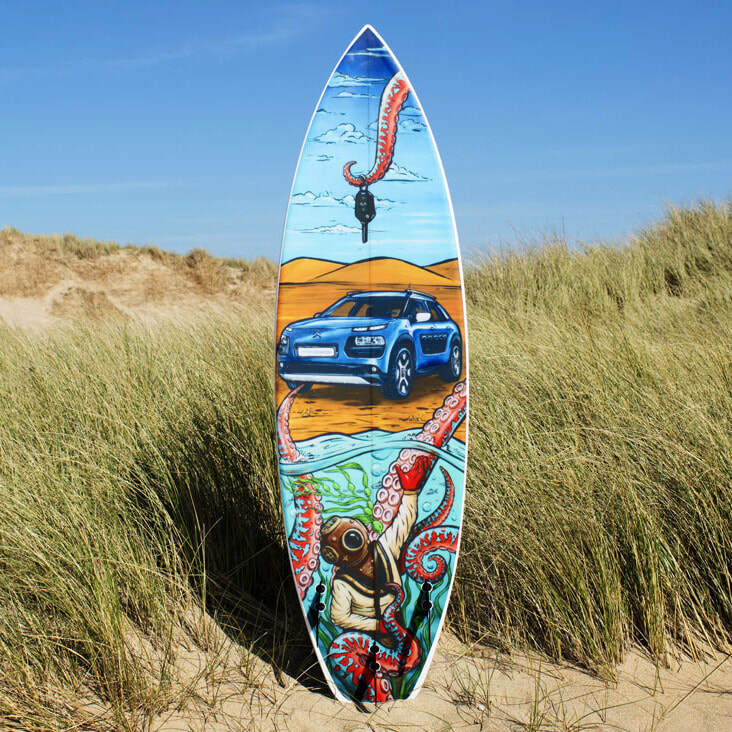 She specialises in street art murals, portraits, painted ﻿surfboards﻿ and skateboards, and commercial illustration, all created with a style that combines realistic painting with a cheeky retro old-school tattoo flavour. She is well known internationally for her instantly recognisable iconic style and her popular YouTube channel, Fieldey TV, which features some of the best art tutorials on the web. Check out our Art Services section for live painting and workshop information for schools and corporate clients. Bespoke artwork and digital artwork for commercial use, advertising and branding. 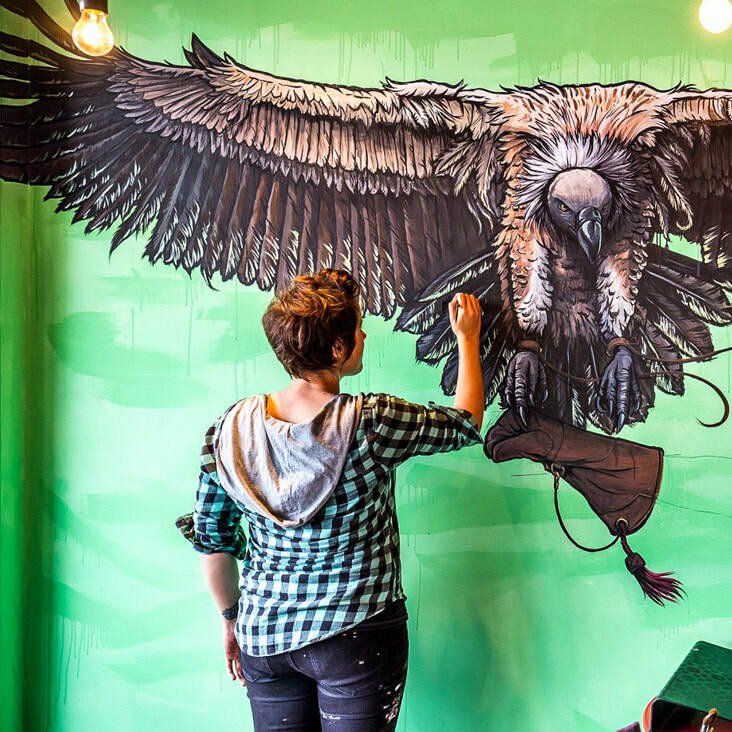 Street art murals and art commissions for businesses and individuals. 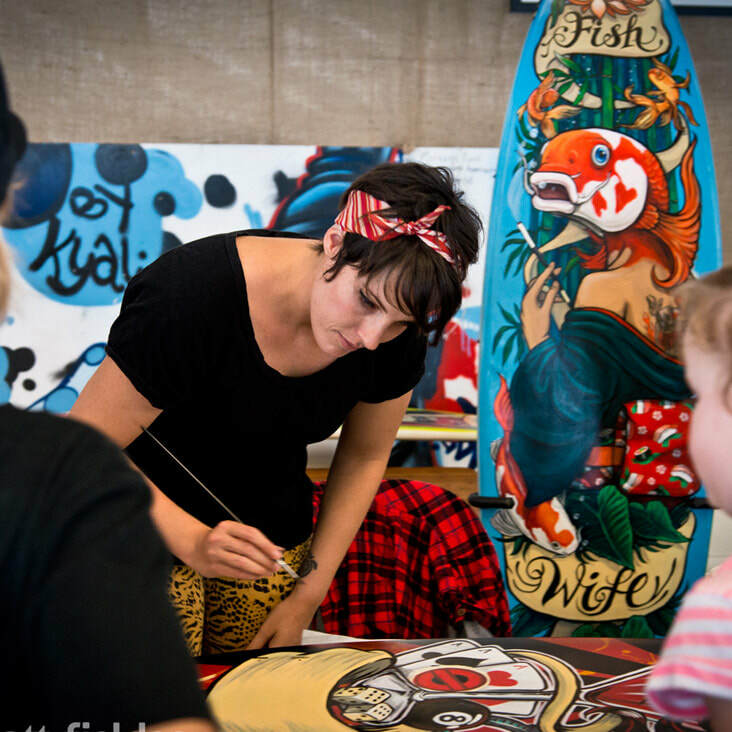 Workshops and live painting for schools, festivals and events.